All Nippon Airways was founded in 1952. 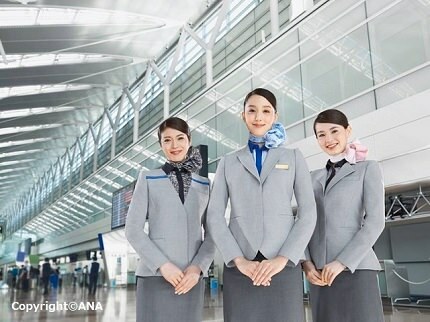 All Nippon Airways changed its company name to ANA HOLDINGS INC. in April 2013. First Class: ANA offers its First Class flyers open suite seats for utmost privacy, space, and comfort.. Surrounded by high walls of contemporary wood, customers can rest in comfort and privacy during their flight. First Class ANA seats have a seat width of approximately 33 inches, providing comfortable seating. Business Class: ANA's Business Class has several different seating styles: ANA Business Staggered, ANA Business Cradle, and ANA Business. The ANA Business Staggered seats are arranged so every seat has aisle access, eliminating being bothered during your sleep by your neighbors. Business Staggered seats fully recline allowing a comfortable deep sleep. Keep all your belongings close with ample storage, with even a show storage area under the seat. ANA Business Cradle seats boast a spacious 59 inch seats with reclining options that "wraps the whole body, creating cradle-like comfort" (ANA). Premium Economy Class: ANA provides its Premium Economy Class flyers with comfortable seats 19.3 inch seat widths and 38 inch seat pitch (distance from the back of one seat to the back of the seat in front). Its leg and footrests add extra comfort during your flight. Economy Class: ANA's Economy Class features seats with 31 to 34 inch seat pitches and reclining seats. Guests are also provided with individual monitors, USB ports and audio jacks to entertained during their flight. Partnering up with "Connoisseurs" who have great knowledge and skill, ANA provides a great dining experience 30,000 feet up in the sky. ANA incorporates its customers' wishes into their meal options. 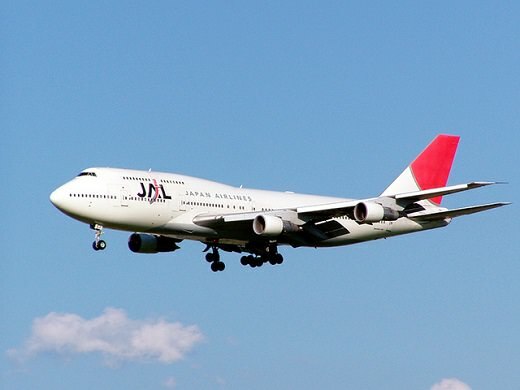 For Economy and Premium Economy Class customers flying from Japan, ANA took a voting poll on several social media sites to gather feedback on which dishes their customers wished to eat on board during their travels. Premium Economy Class customers also have several additional meal and drink choices. First and Business Class customers are presented with meals created by the Connoisseurs. Skilled chefs with successful restaurants are gathered to create exquisite dishes of Japanese and International cuisines. Light dishes are also available during your flight. ANA offers bowls of ramen from famous ramen restaurant Ippudo. Other options include curry, sandwiches, and more.